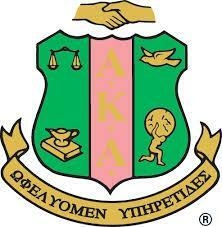 The “Greatest Love” Cotillion is the signature program of Theta Iota Omega Chapter. The inaugural Cotillion was held in 1980 under the leadership of our fifth chapter president, Mary A. Adams. It is through our biennial Cotillion that participants are given an opportunity to achieve the following: formally showcase their transition into young adulthood in front of family, friends and the Long Island community; develop their talents and skills through community service projects, self-improvement workshops, mentoring and cultural enrichment activities and develop important life skills that are essential to the changing workplace and our complex society. 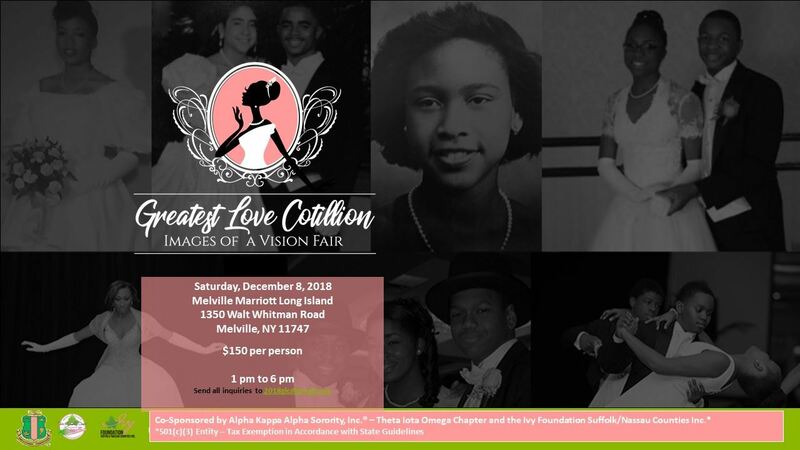 For nearly 40 years, Theta Iota Omega Chapter of Alpha Kappa Alpha Sorority, Inc.® and its philanthropic arm, Ivy Foundation Suffolk/Nassau Counties Inc. has awarded nearly $300,000 in academic scholarships through our biennial “Greatest Love” Cotillion. Be sure to join us on Saturday, December 8, 2018 for our biennial “Greatest Love” Cotillion at the Melville Marriott Hotel from 1 pm to 6 pm. Send all inquiries to 2018glc@gmail.com.